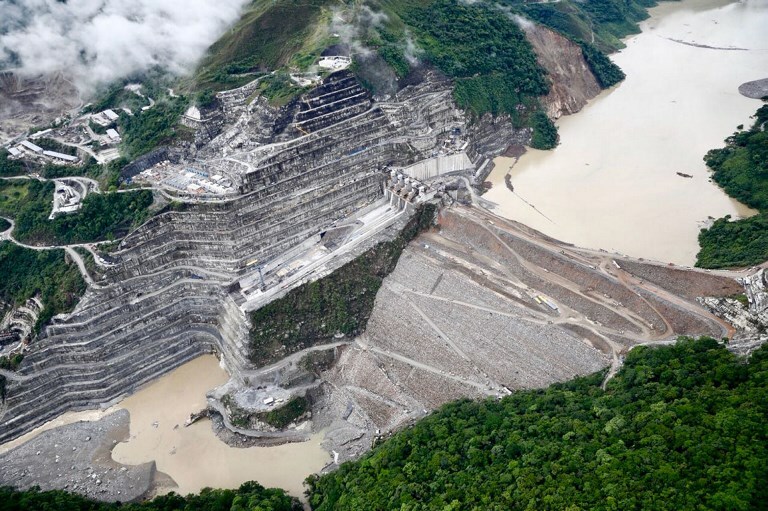 The start of the seventh week of the crisis surrounding the uncompleted Ituango hydroelectric project was marked by another landslide at the site, as Colombian electricity utility EPM struggles to keep abreast of the problems. Following the precautionary evacuation of personnel after the most recent landslide upstream from the dam, EPM assured that work continues in other areas of the site and that the situation at the US$4bn Ituango hydroelectric project is stable. The company said it was working around the clock to regain control of the project by bringing the dam up to its planned height of 415m and blocking the right-hand bypass tunnel and auxiliary bypass system. In further developments the Inter-American Development Bank's (IDB) private sector arm, IDB Invest, met with civil society groups last week to discuss the dam situation. Delegations from Movimiento Ríos Vivos, the Interamerican Association for Environmental Defense and the Center for International Environmental Law met with IDB Invest at its headquarters in Washington DC to discuss the project's impacts on indigenous communities and steps being taken by authorities to meet the needs of people living in the dam's area of influence. This meeting took place as further action to protect communities affected by the crisis was outlined by Colombia's environmental permitting authority ANLA on June 7. The new measures include the supervision of evacuated areas, identification of areas susceptible to flooding in Orobajo district, the creation of evacuation plans, geolocation and referencing of shelters and risk analysis and monitoring of the dam itself. According to the government of Antioquia department, in the worst case scenario of the dam collapsing, an estimated 113,000 people would be affected. IDB Invest assured that EPM had implemented the contingency measures and plans required by its safeguard policies. IDB Invest signed a US$1bn A/B unsecured loan package with EPM in January 2018 to finance the dam project. Under this scheme IDB Invest provided a US$300mn A loan from its own funds and partnered with CDPQ, KFW Ipex, BNP Paribas, ICBC, Sumitomo Mitsui Banking Corporation, BBVA and Banco Santander on a US$650mn B loan. An additional US$50mn was provided by the China Co-Financing Fund for Latin America and the Caribbean, which is administered by IDB Invest. No collateral was required from EPM, which is owned by the municipality of Medellín.